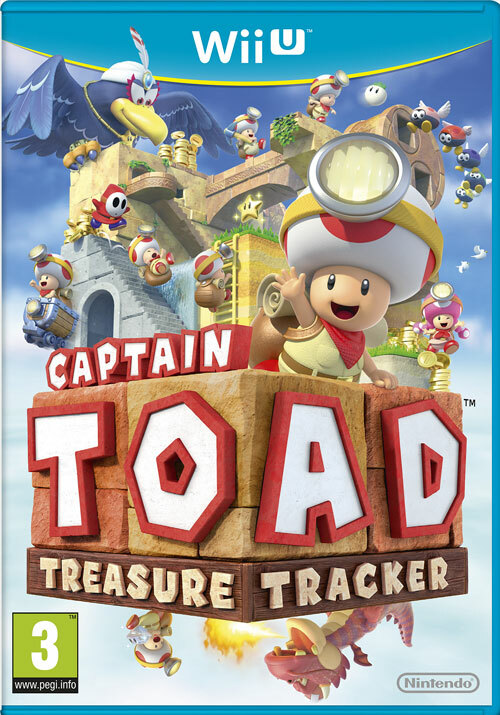 2015 got off to a great start for Wii U owners with the release in January of Captain Toad: Treasure Tracker, an expansion of the mini-game from Super Mario 3D World. The game involves two cheery and adventurous Super Mario Brothers characters – Captain Mushroom and Toadette – as they explore the Mushroom kingdom in search of diamonds. They are periodically thwarted by a gigantic feathered creature – the lousily named Wingo – who has an affinity for jewellery, kidnapping fungus and I think he’s some sort of carnie fortune teller or something, judging by his elaborate headpiece. 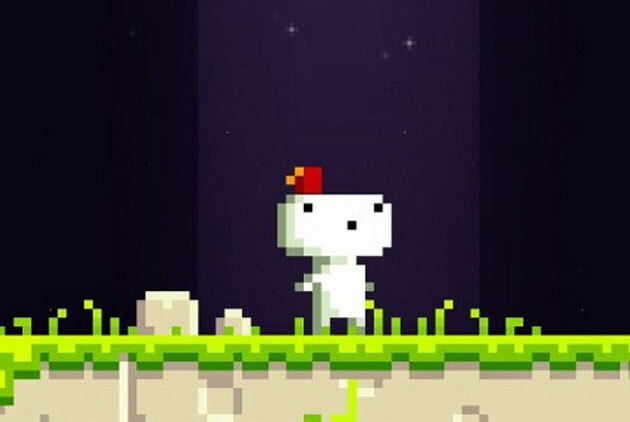 You might well wonder whether a game that takes its origins from a mini-game could make a successful transition into working as a full fledged game in its own right. 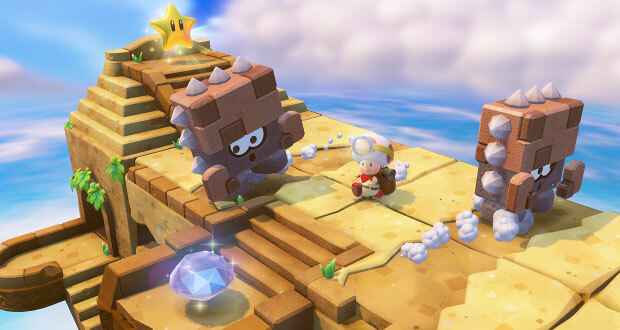 After all, the same framework exists from the Toad stages in Super Mario 3D World – every level has 3 diamonds to collect, is rendered on a miniature cubic level reminiscent of Super Mario Galaxy planets and neither Captain Toad nor Toadette is able to jump. On paper, it seems pretty constrictive. In reality, it only took me a handful of stages to realize Nintendo could take this concept and make it shine. They won me over with the fantastic level design which is definitely reminiscent of the Super Mario Galaxy games – each chapter is full of creative flourishes, secrets to uncover and meta game challenges to enjoy. 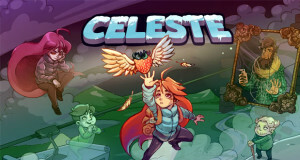 When you take this enjoyable core concept and package it in a trilogy of storybook adventures featuring dragons, ghost trains, mine karts and gold mines…Nintendo has another winner on their hands. 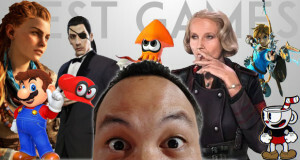 I’m not entire sure how to categorize a game like Captain Toad. I think it’s a little misleading to call it a puzzle game because hunting down diamonds or gold mushrooms in each level isn’t particularly taxing on the brain. It’s obviously not a platformer either, despite the familiar looking Super Mario window dressing. I think its best described as an adventure game. It’s about exploration across dozen of miniature worlds that the player interacts with by shifting, rotating and manipulating the environment using the right analogue stick and touch pad on the Wii U Game Pad. 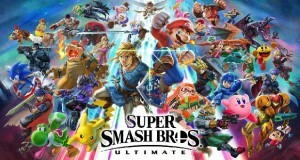 The game has a pretty mild difficulty curve but it remains an engaging experience thanks to the inventive level design, the huge assortment of challenges and bonus stages plus the gradual introduction of extra play mechanics. Captain Toad and Toadette can’t jump, but they can throw turnips at the baddies (ala Super Mario Bros 2), they can use their headlamps for navigation and they can use pick-axe power ups to smash through bricks and uncover hidden passageways. I had a great time with Captain Toad: Treasure Tracker. Its a game comprised of a hundred little pleasures – from cutesy animations of goombas to retro-throwbacks to Mario games of old – and it strikes just the right balance when it comes to content. Not so little as to feel too slight but just enough that it doesn’t overstay its welcome. Summary : An entertaining B-tier Nintendo release that showcases their trademark creativity and fun.